At Photokina, Sony’s new 28-135 mm f/4 E-mount zoom is another hint of where I think things are heading for motion picture cameras and lenses. It’s a full-frame still format (24x36mm) zoom. And it has optical image stabilization. I had not realized that it was full-frame when I was at IBC. And I’m not yet sure if the price is a misprint. Could it really have a street price of $2,499.00 when it ships? 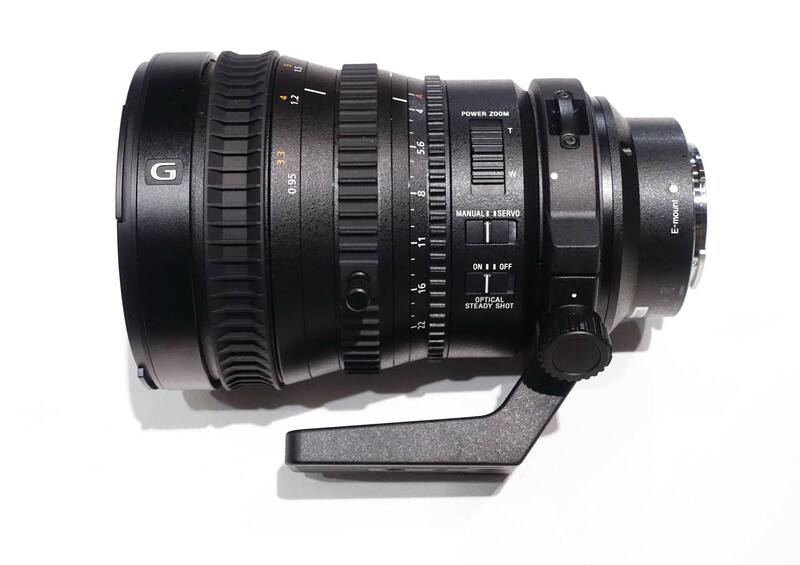 The new servo zoom E-Mount FE PZ 28-135mm F4 G OSS (SELP28135G) zoom is the “kit lens” for Sony’s new PXW-FS7K camera. 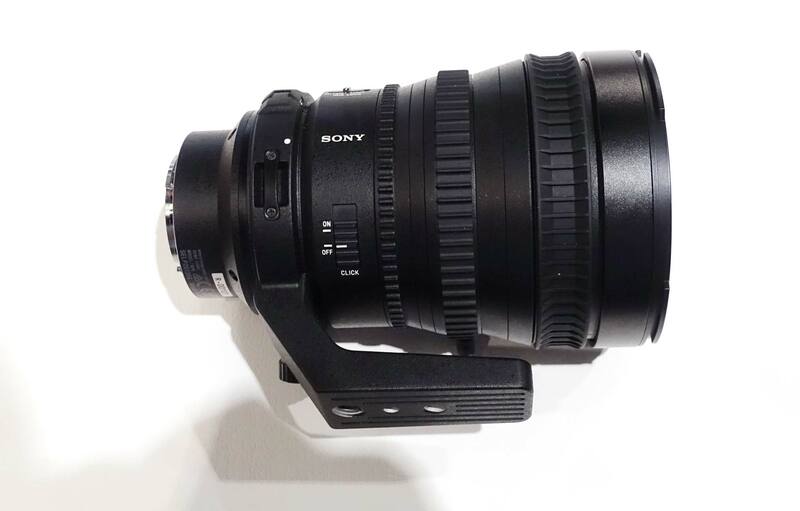 Sony say’s it’s “the world’s first 35mm full-frame interchangeable power zoom lens. It features constant f/4, independent rings for iris, zoom and focus, and is dust- and moisture-resistant. The SELP28135G has SteadyShot (optical image) stabilization, minimum focus breathing” and uses Sony’s new Super Sonic wave Motor (SSM) for reduced motor noise when shooting. any idea about FE mount will be able to fit onto FZ mount F3/5/55 cameras? Sony E mount has 18mm flange depth. If someone can machine a custom FZ to E adapter — that would be nice!